Write an educational article about Forex trading, share your knowledge with other traders and get 35 USD to your account. 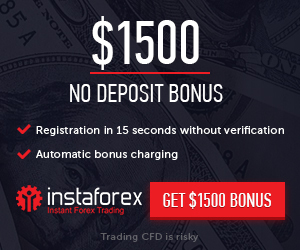 Deposit your account and get up to 100% for every deposit. Take part in the Lucky Friday tournament, arranged by JustForex in partnership with ForexStars.com and get up to 50% from the prize fund.